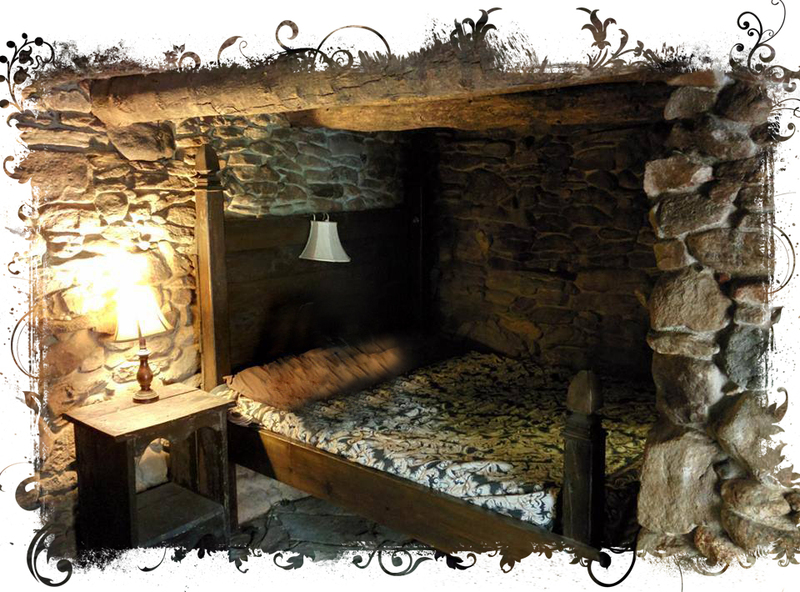 Frodo would feel very much at home in this underground stone cottage built beside the river. 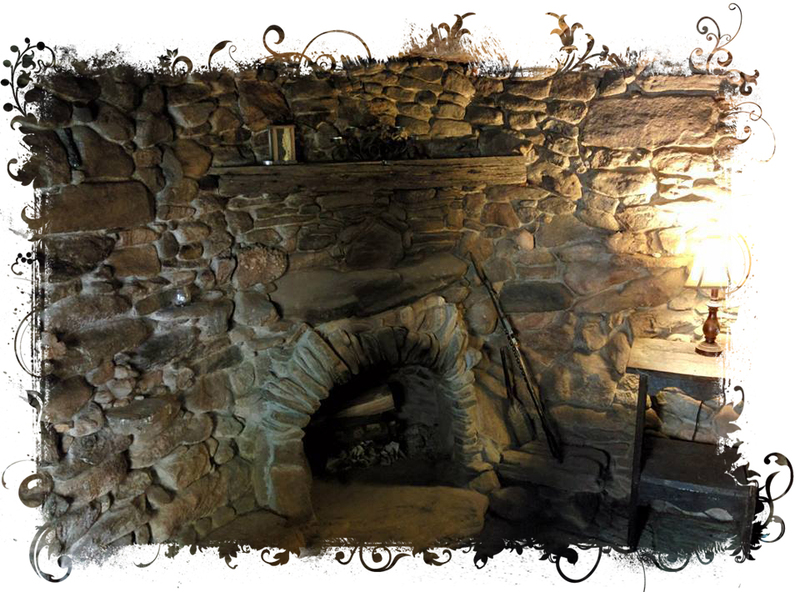 Stone walls, slate floor, sod roof, large stone fireplace, gothic stained glass window. No electricity, no running water, a portable potty for night use. It’s small, but there is enough room for a full sized bed, an anitique “throne” chair sitting before the large window whose shutters open up to an utterly magical view of the cascading river.